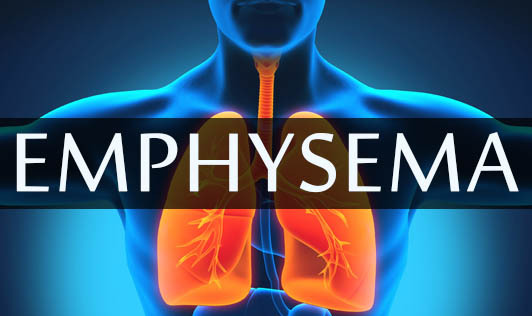 Emphysema is a lung disease that makes breathing hard for one. This condition is one of the several diseases known as chronic obstructive pulmonary disease. Smoking is the leading cause of emphysema. Emphysema is not curable and the condition cannot be reversed. However, treatment may slow down its rate of progression and ease symptoms. One may have Emphysema for several years without even noticing the signs or symptoms. The main symptom of emphysema is shortness of breath. One may start avoiding activities that cause shortness of breath. The condition eventually causes shortness of breath even while one is at rest. Contact your doctor if you have shortness of breath especially if it's interfering with your daily activities!